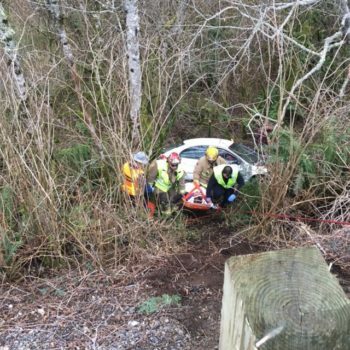 WLAD, Siuslaw Valley Fire and Rescue, and Oregon State Patrol all played a part in rescuing an injured patient from a motor vehicle accident down an embankment. 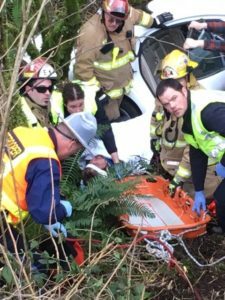 The vehicle had lost control and crashed about sixty feet off the road. In order to access, stabilize, and extricate the patient, a low angle rope rescue system was built and used to connect to the litter (patient, Stokes basket, backboard). 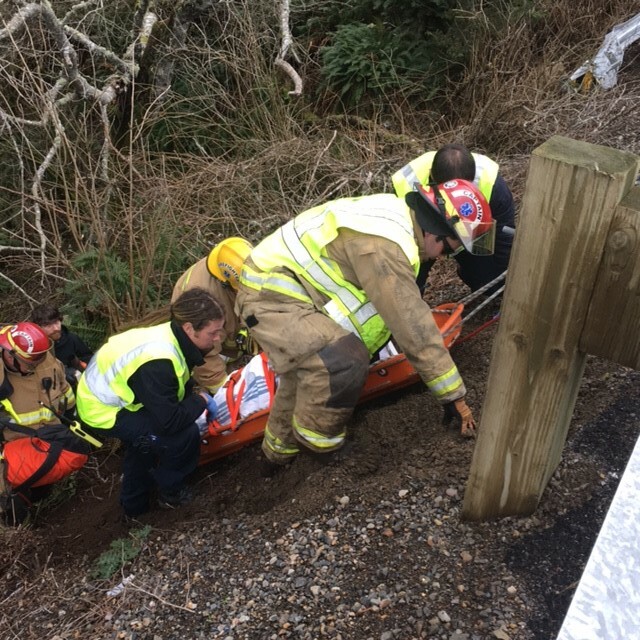 The patient was transported to Peace Harbor Hospital with non life threatening injuries.